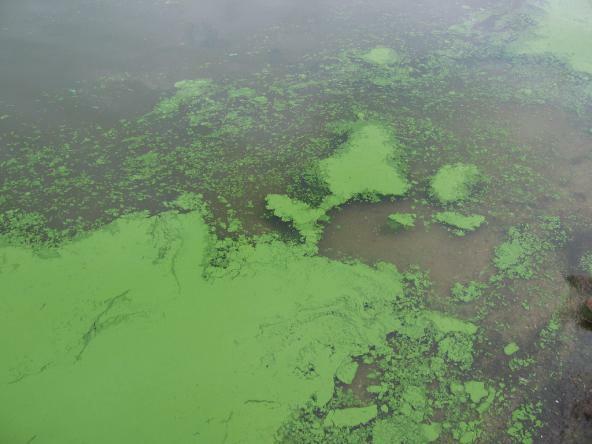 Harmful algal blooms appear to be on the increase in Puget Sound. A variety of dangerous plankton are known to produce toxins that concentrate in shellfish as they filter the water for food. Oyster lovers may suffer from maladies including paralytic shellfish poison, which affects the nervous system; diarrhetic shellfish poison, which causes diarrhea and may cause cancer; and amnesic shellfish poisoning, which causes intestinal upset and can lead to nerve damage. It isn’t clear how many of the harmful algal species now residing in Puget Sound were brought to the area by people and how many have been here for hundreds of years. But worldwide studies involving both DNA sequencing and fossil analysis have revealed that a group of dinoflagellates known as Alexandrium seem to have evolved in some places while suddenly appearing in others, perhaps imported in the ballast water of ships. Ballast water is one of the chief pathways for introduced species in Puget Sound. In addition to hitch-hikers like green crab larvae, ballast water can also carry viruses and bacteria of all sorts, including some that may infect vulnerable native species and others that can cause illness or death in humans. Vibriosis, for example, is a bacterial illness that people can get from eating raw shellfish, particularly during warm summer months. In Puget Sound, the most common Vibrio bacteria, Vibrio parahaemolyticus, is associated with severe intestinal upset, including diarrhea. But now Washington state health officials are beginning confront another species, Vibrio vulnificus, which is considered a potentially deadly pathogen because it can infect people’s blood. Another species of Vibrio is one that causes deadly cholera outbreaks around the world. In 1990, an epidemic of cholera broke out in Peru, and a year later the same strain of Vibrio cholerae was found in shellfish in Mobile Bay, Alabama. Tracking the bacteria to its source, the Food and Drug administration identified the same strain in the ballast water of five of 16 ships coming from Latin America. Researchers subsequently concluded that the cholera bacteria found in the shellfish were imported to the Gulf states by cargo ships coming from South America. It also was likely, they said, that the deadly organisms first arrived in South America on cargo ships from Asia. Cohen, who has spent years studying pathogens in ballast water, said one answer is to treat the water to kill organisms, as one would treat drinking water. If not done onboard a ship, the treatment could be done on shore, he said. Pending full-scale treatment, Washington state mandates that ships coming from distant ports exchange their ballast water at sea to reduce the risk of introducing invasive plankton to Puget Sound. To reduce the risks for people who consume shellfish, the Department of Health conducts regular testing for a variety of toxins and bacteria found in clams and oysters. When high levels are found, authorities close commercial shellfish beds, issue advisories to recreational shellfish harvesters and post beaches with warning signs.